Friends, today I am sharing a Post with you that is based on the mentality of most people . There are two kinds of people in this world, first they complete all the work on time which they never see back and they always go ahead and secondly they stop working and nobody else Keeping excuses, the reason that most people do not get the work done is because of the only excuse that - I did not get the time to complete the work or I was too busy so this work could not be completed. If you wander with a lazy person, why did not you work or why not arrive at the same time, then there would be only one answer that there was no time or I was too busy. Friends, with the excuse of being a busy person, one wants to hide every wrong habit or wrong thing. Actually to be busy and to pretend to be busy, there are two different habits. If a person tells the excuse of not having 4 works of his 5 works, then he understands that the person is not really a busy person but is a victim of habit of being a busy person, that is, the victim of the busyness of engagement. The person does not have the desire to fulfill the work in his mind, that is, the man will never want to be successful. Such a person can neither keep his boss happy nor his family members. It is a burden for your company and also becomes a burden on your family. In the life of such people, there is a storm that takes away a lot and without any remorse he has nothing left. Because of this, many people lose their mental balance and take a defamed step like suicide, and destroy this precious life given by God. 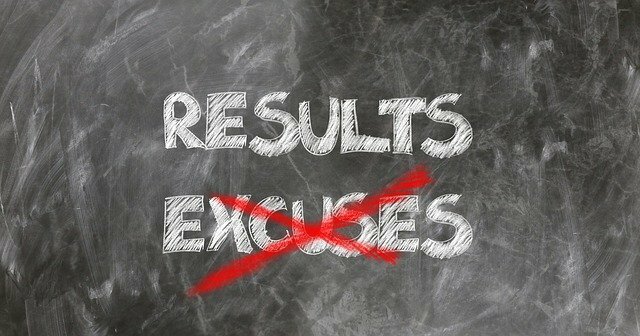 Do not make any excuses ever, whatever happens. Tell your boss, friends and family all the facts, they will show you the right path after hearing the truth. Do not discontinue any work for tomorrow or do not think that this work will not take place today because if you postpone some work tomorrow, then understand that he is never coming tomorrow, so to complete every work Try it. In the office, every effort should be made to do good and correct and prove yourself. Then see how your stars of fame shine. This post has received a 11.00 % upvote from @booster thanks to: @vikbuddy. Hello @vikbuddy, thank you for sharing this creative work! We just stopped by to say that you've been upvoted by the @creativecrypto magazine. The Creative Crypto is all about art on the blockchain and learning from creatives like you. Looking forward to crossing paths again soon. Steem on!